Cameras, like any electronics now of days are a rapidly progressing technology. Like any electronics then our cameras tend to get dated after a few years and need upgrading. If its time to buy a new camera you might be in a position of feeling very daunted. There are so many different kinds of cameras, so which one really fits your needs the best? Why are some cameras more expensive then others, and what do all the abbreviations mean when talking about cameras and what they do?! The fact is buying a new camera can be very intimidating. This guide is designed to help you navigate through the process of purchasing a camera and to teach you all that you need to know to help you feel confident in making the right decision. We all love taking pictures and capturing those special moments with your families and friends. That being said not everyone is at the same level when it comes to taking those pictures. Lets start with types of Cameras. A question I get asked a lot, is what kind of camera I recommend? What brand do I recommend? Let me first say that brand is not very important as long as you are talking about the major manufacturers. These would be Canon, Nikon, Sony, Pentax, Panasonic, Samsung, Olympus and Fuji. The fact is all make great cameras on the high end, and not so great at the low end. Some will have more options in the different segments of cameras, but all make good options. When you think of a BIG fancy camera like the ones you see the professionals using, you are most likely picturing a DSLR which stands for Digital Single Lens Reflex. These cameras are made up of three things. A body, a mirror box inside the body and a lens. The lens on a DSLR is removable so the photographer will have more options of different lenses. Because DSLRs have a mirror inside you are able to look through the cameras view finder right through the lens, giving you the most accurate view of what you will be taking a photo of. There are many different options when it comes to the DSLR category. Each company for the most part has many offerings. 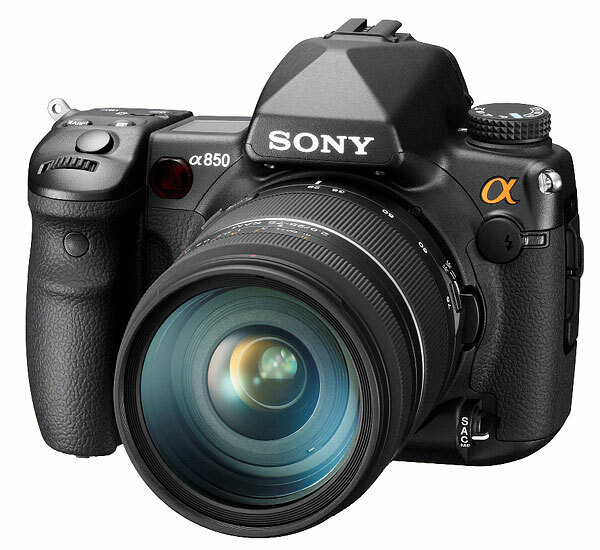 They will range in price from $600 to $6000 dollars, so needless to say there are many levels of cameras in this market. If you have mastered your point and shoot camera, and want to take your photography to the next level then a DSLR might be the next step for you. Before you jump right into a DSLR though keep this in mind. Your financial commitment will most likely be significantly higher when purchasing a DSLR, not only initially but over the life of owning the camera as well. This is due to the fact that you will most likely want to purchase a variety of lenses as well as the camera body. Lenses really are what makes a DSLR amazing. Obviously as with most things as you spend more you will often get better and better lenses. They will typically be sharper, meaning more fine detail in your photos, focus faster, and are often brighter, meaning better for low light and having more background blur. Manual functions are something that DSLR’s typically have a lot of. They will all have auto functions as well, but if you are looking to take your photography to the next level, you will want to step outside of the comfort of letting your camera do the thinking for you and start using some of your manual controls. If you are purchasing your first DSLR then sticking to the lower end of the price range might be a good idea. Most of the time you will be spending about $1000 to get into this kind of camera. Often you will be getting a couple of kit lenses with that purchase. The photo quality in the less expensive DSLR cameras will be fantastic, though typically they will have a slower autofocus, a bit smaller body, and fewer bells and whistles. As you start to look at more expensive bodies you will see that they have faster shutter speeds, or how fast they take a group of photos, higher ISO ranges or how sensitive they are to low light situations. Some will have Full Frame censors, meaning they have a larger censor that will take better advantage of the focal length of your lens. Im guessing that if you are to the point of getting one of the higher end DSLR’s then you will also know what you are getting yourself into and don’t need and explanation of all of the perks. I personally use a Canon 5dIII for all of my professional work. It is a great wedding and portrait camera. It would also excel for the landscape photographer. It would not however be the ideal camera for someone shooting sports or wildlife. It is a full frame camera and doesn’t have as fast a frame rate as many other cameras, even cheaper ones. Also because it is full frame there is no crop on the lenses. So for seeing things farther away a cheaper cropped censor camera would be a better choice. I should also note that if I was not a professional I would almost certainly not ever use this camera. Thats not to say its not fantastic, but the fact is when im on vacation, or doing shots of my kids I would much rather carry a smaller camera around. This brings us into our next segment. Perhaps more functions then what you will need. This segment is the most exciting of them all at the moment. Chances are unless you have been paying close attention to camera technologies and advancements over the last few years, you haven’t heard much about Mirorless or Micro Four Thirds Cameras. For the sake of not being so repetitive I will put both of these into the same class of Mirrorless. Neither use a mirror and differ mainly from the kind of censor that they use. Both will accomplish comparable outcomes though when it comes to the images they create. Over the last few years Mirrorless cameras have made huge advancements. Initially they had poor low light capabilities, slower auto focus, and often smaller censors. For the most part this is no longer true. Mirrorless cameras benefit from many of the pluses of a DSLR, but often at a lower cost, and at a much smaller size. Its for this reason that I really love Mirrorless cameras. They take photos that are just as good as a large DSLR, are smaller and easier to carry around, and from the body to the smaller lenses are typically a much smaller investment as well. Because this is a fairly new segment there will be fewer options in regards to lenses. For this reason they still don’t have the professional appeal of a larger DSLR. If you are looking to bring up your photography game though, and would rather have a smaller lighter camera at a lower cost, then a Mirrorless might be the right choice for you! 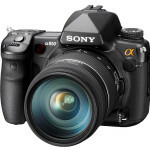 At this time my favorite cameras in this category are produced by Sony and Olympus. I personally own a Canon EOS M. I purchased it for around $300 so it really was too good to pass up. It takes fantastic photos and is small enough to fit in my pocket. It suffers from a much slower auto focus then a DSLR, and a lack of white balance control, but that really is the only downside. If you are looking for a great all around camera that is smaller then a DSLR, has all of the manual controls and will be great for landscapes and portraits then a Mirrorless might be a fantastic choice for you. In regards to fitting in your pocket. If the Mirrorless camera segment still feels like it is over your head and all you want is something simple to stick in your pocket or purse and take a quick snap shot now and again, then the next segment is for you! Point and shoots are going to be the smallest cameras out there. Its size is its biggest advantage. The lenses will be built in and sometimes have a surprisingly large range of zoom considering their small size. Because a point and shoot is small, it typically also suffers from a very small censor. The censor is a big deal. It is like the film of your camera. It collects the light and turns it into a picture. The larger it is the bigger each megapixal is and the more sensitive it will be to the light entering in. There are point and shoot options out there with much larger censors, but these cameras also come at a much more expensive price. For the most part point and shoot cameras are much less expensive then mirrorless and DSLR cameras. There are options with large censors and manual controls, so if you are someone with a DSLR or a Mirrorless camera and just want a small pocket camera that takes photos with a like quality of your camera, that option is there. Just plan on paying at least $600 for it typically. Sony and Fuji probably make the best high end cameras in this segment. If you are going for cheap then all of the companies will have options that will do the trick. The censor in a Point and Shoot is small but is typically larger then a Cell Phone camera censor. Most of us have phones that take decent photos. Im not going to go into them here but if you are interested in taking better photos with your iPhone be sure to visit check this out!